Two recent sales of homes — one in Miami’s desirable Ponce-Davis neighborhood and the other in Coral Gables — give an indication of what buyers are apparently willing to pay in those areas for potential luxury homes in need of substantial work. 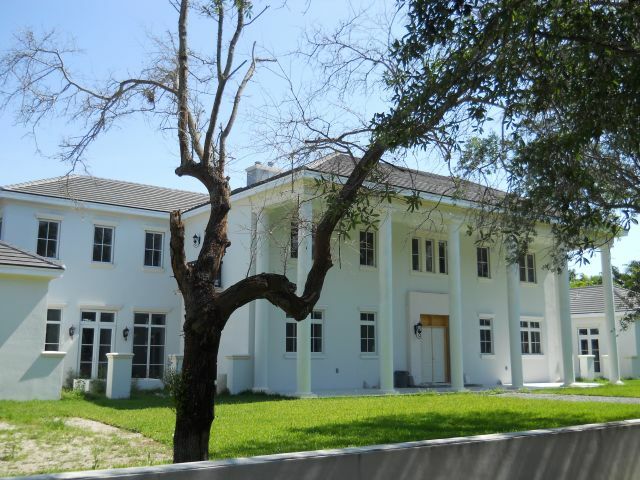 In Ponce-Davis, the house under construction at 4975 SW 78 St. sold for $2.5 million. It was mostly finished but still needed at least a few hundred thousand dollars of work. 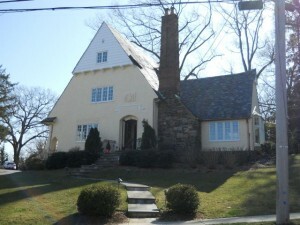 At 8,450 sf, the sale price works out to about $296/sf. With the additional work, figure the property will eventually cost about $350/sf. The house at 3510 Granada Boulevard was effectively a private sale, having been entered on the MLS after it was, for practical purposes, already sold. The price was $1.2 million, which works out to about $282/sf for the 4,251-sf home. 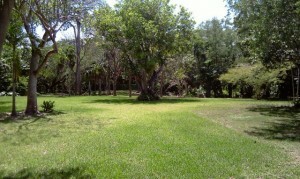 The property is located on the Biltmore Hotel golf course. No doubt the project is a total gut job, which should easily put the total cost at $350/sf to $400/sf, and perhaps more depending on materials and finishes. 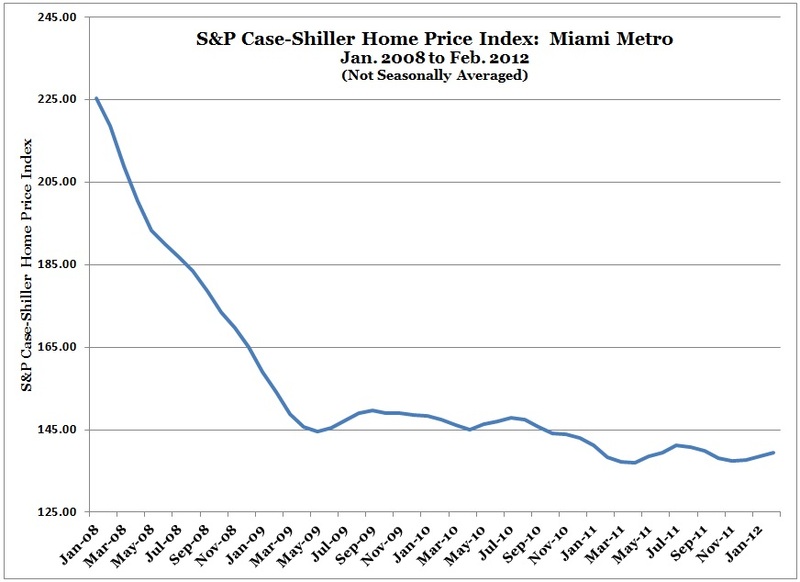 House Price Index Update — New York and Miami, Sept. 4, 2008. How many other real estate agents warned you at all, much less so accurately? Heck, how many economists did? The best advice. The best real-estate representation. Right here. There is now a perfectly normal 6.4-month supply of homes for sale in the Coral Gables single-family real estate market. 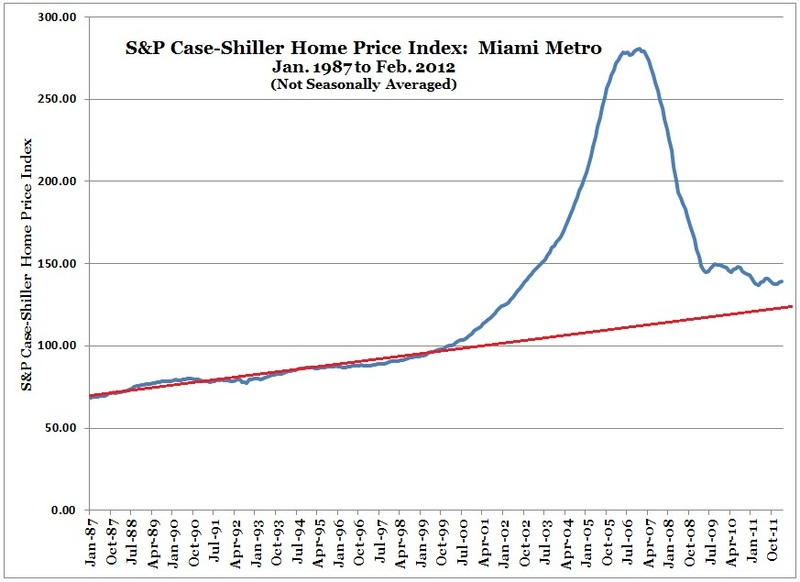 The data reflect a normal progression toward slower sales at higher price ranges. Homes priced below $250,000 are few, but sell in a flash. The months’ supply figure is a fundamental measure of market conditions. 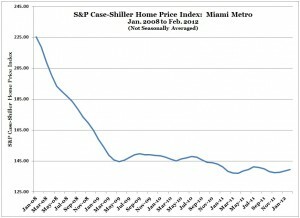 It represents the number of homes available divided by the number sold in the preceding month. 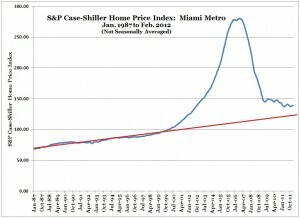 Normal is about 6 to 8 months’ supply, indicating a roughly even balance of power between sellers and buyers. A number below 6 suggests a sellers’ market. A number over 8 suggests a buyer’s market. 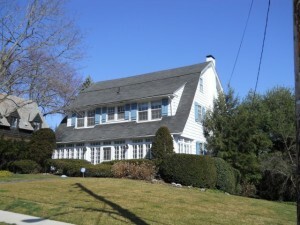 It’s too soon for prices to start rising in the New York suburbs, and significant risk remains for further declines. Beware salesmen (and saleswomen) bearing happy-talk. According to the National Association of Home Builders, the New York metro remains the least affordable in the nation, with a median home price of $409,000 and a median income of $67,400, a ratio of 6 to 1. That’s down from 8 to 1 at the peak of the real estate mania, but still far above the 3 to 1 that prevailed in New York before the boom began. Sure, record-low interest rates ease the pain, but if rates rise faster than incomes, the downward pressure on prices will intensify. That’s what pricked the bubble a few short years ago. Have we already forgotten? A similar observation works at the micro-market level. 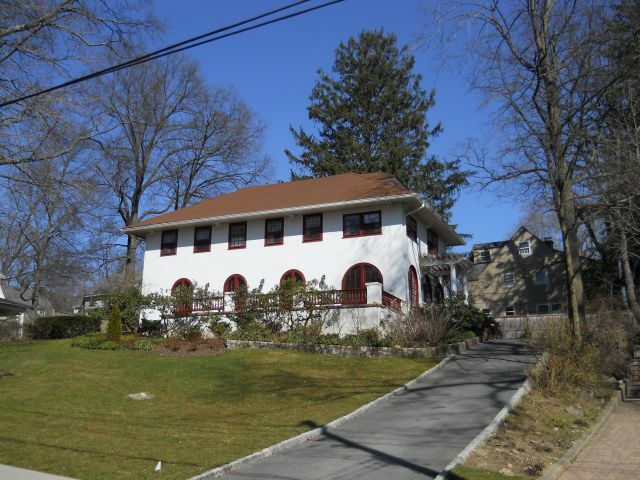 Consider the exemplary New York City suburban yuppie enclave of Cedar Knolls, a neighborhood in the city of Yonkers that shares a zip code and much of its daily life with the adjacent village of Bronxville. Bronxville is no median suburb. Wikipedia puts the median family income at $200,000. The average kid taking the SAT at Bronxville High School scores at about the 90th percentile nationwide. Being in Yonkers, Cedar Knolls doesn’t get Bronxville schools. But most of the houses are classics from the 1920s, and carry much lower price tags and property taxes than their Bronxville counterparts. The combination of beauty and relative affordability makes Cedar Knolls a popular choice among young professionals who work in New York City, but haven’t gained master-of-universe status. You won’t find income data for Cedar Knolls, but a proxy will do. Let’s compare Cedar Knolls home prices to a widely published compensation benchmark for young professionals in New York: the salary of first-year associates at big New York City law firms. In 1998, before the real estate boom, first-year lawyers made about $90,000, and a typical Cedar Knolls home could be had for about $450,000 — a ratio of about 5 to 1. When Cedar Knolls home prices topped out in 2004, first-year lawyers made about $190,000 (salaries spiked when dot-coms were luring lawyers away from firms), and a typical Cedar Knolls home cost about $1.25 million, a ratio of about 6.5 to 1. In 2011, first-year lawyers were back to about $170,000 (bonuses were crimped by the financial crisis). 170 Pondfield Road West is now listed for $945,000 (about 5.5 times the salary of a first-year lawyer, and considerably less than the current owner paid about eight years ago). 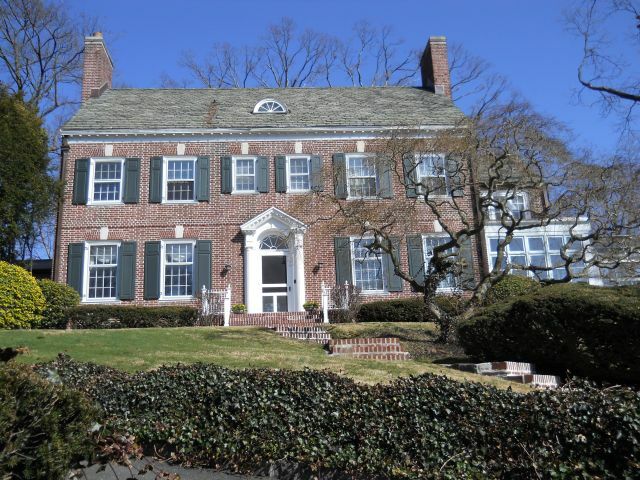 13 Cedar Lane is now listed for $1.195 million (about 7 times the salary of a first-year lawyer, but for one of the larger homes in Cedar Knolls, a 6 BR, 4-1/2 BA, 3,860 sf house — almost twice the size of 11 Beechmont). All four of the above properties are basically within a one-block radius. After a real estate boom, overvaluation is worked off by a combination of falling prices and rising incomes. While that plays out, the market will present attractive opportunities to savvy buyers. REF Real Estate likes savvy buyers. 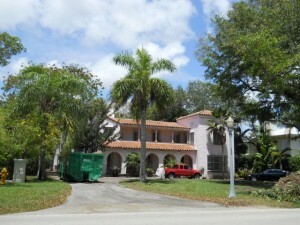 REF Real Estate is a licensed real estate broker in Florida and New York. 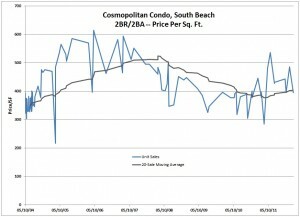 Here’s another sign of a bottom in Miami Real Estate: the price per square foot of condos sold at the Cosmopolitan Condo in South Beach. The chart below shows the sales history going back to the building’s construction in 2004. 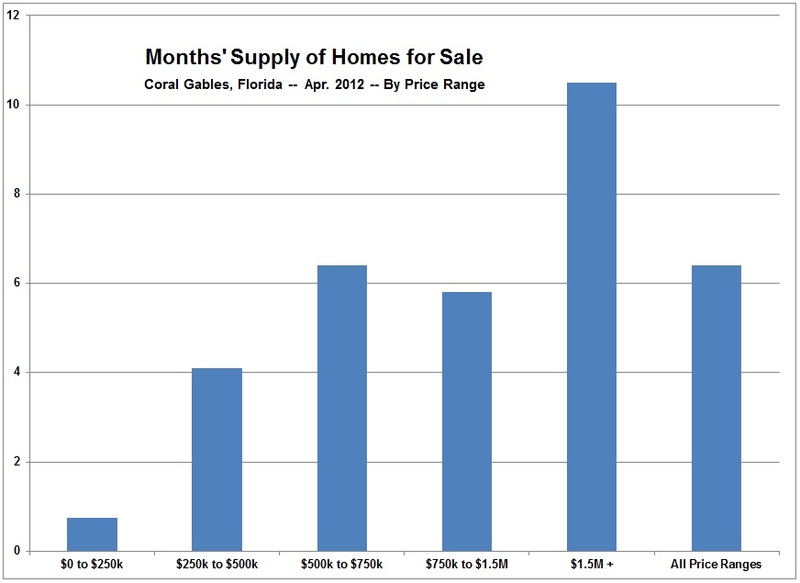 Blue represents individual unit sales, black is the 20-sale moving average. Prices have broken above the moving average, reversing the downtrend. The Cosmopolitan is located at 110 Washington Street in the very desirable SoFi (south of Fifth Street) neighborhood of South Beach, which is one of the most desirable locations in Miami Beach. 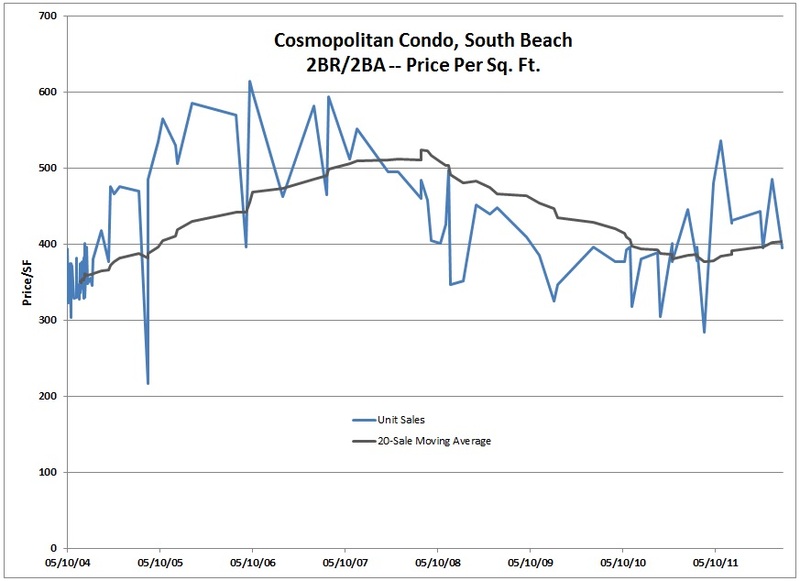 The Cosmo is a middle-market building, with units in nearby luxury condos like Continuum and Apogee selling for much higher prices per square foot, and units in the dwindling stock of old buildings in SoFi selling for less. 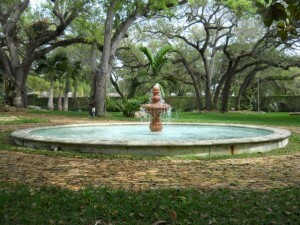 Fountain in yard of home in the Ponce-Davis neighborhood of Miami, Florida. Tucked in beside Coral Gables, Ponce-Davis is among the most desirable Miami neighborhoods. 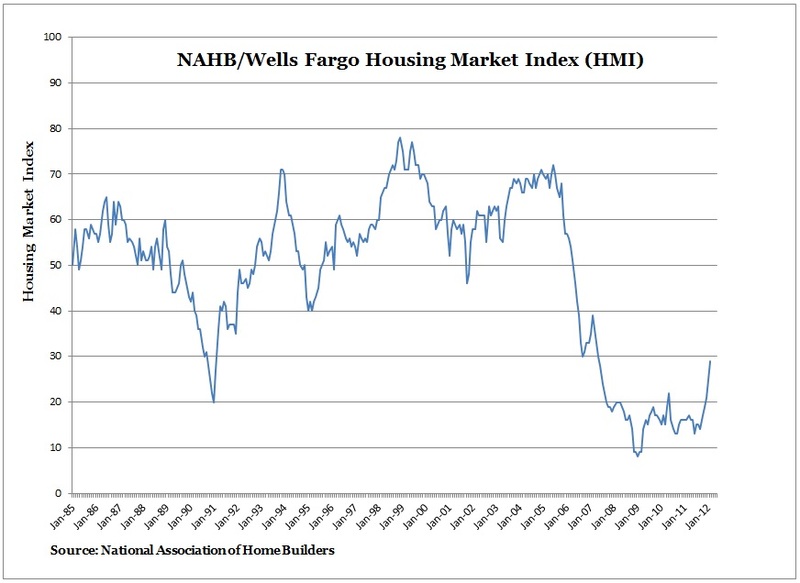 The Housing Market Index (HMI) maintained by the National Association of Home Builders and Wells Fargo suggests the bottom is in and the downturn is over. The HMI is a sentiment index. It reflects a monthly survey of home builders that measures their opinions of current conditions and future expectations. 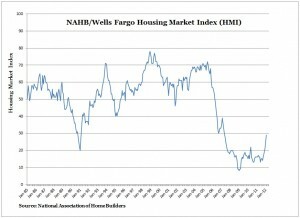 So even if lagging or concurrent price or sales data continue to struggle, home builders may become more optimistic about the future based on their inside insight. A minor uptick in the HMI would not be noteworthy. But the HMI has spiked over the last few months in a manner that previously has been associated with the end of a downturn (compare the recent spike to that in the early 1990s in the chart below). Risks remain — especially the possibility of higher inflation and interest rates without corresponding wage gains. But for now at least, the HMI is telling a different tale. No shortage of things to do in Miami in February. 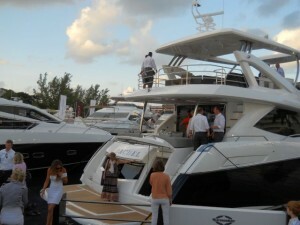 You couldn’t go anywhere without stumbling onto some event this Presidents’ Day weekend . . . . 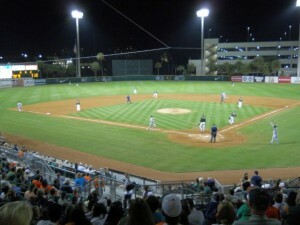 The University of Miami Hurricanes baseball team led off its 2012 season in fine form with a 3-game sweep of the Rutgers Scarlet Knights, including a 12-inning nail-biter in Game 2 that saw both teams blow bases-loaded opportunities to break a 1-1 tie.